A beautiful interior and exterior are above everything you’ve seen. Elegant high-gloss acrylic and chrome finish adds warmth and beauty to a lot of interior tub space. Unique details include custom decals and trim around each chrome plated brass hardware part. 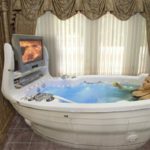 The luxury and countless possibilities of this tub provide a new and innovative shift, a renewed focus on extended bathing. It is equipped with exclusive RMS® INTELLI-TUB® features. 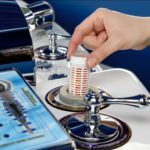 See Detailed tub Features, Functions, and Specifications in Downloadable RMS® General Product Catalog. 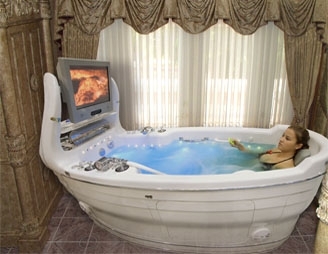 This tub is equipped with exclusive RMSINTELLI-PACK features. Automatic Fill with water sanitation. Automatic Drain with water sanitation. 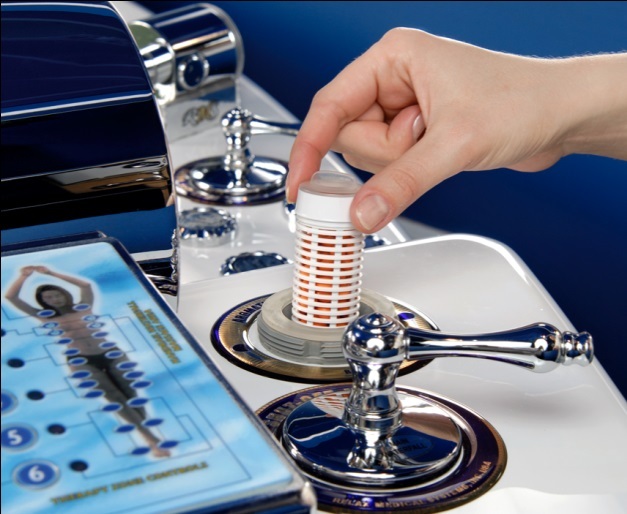 Fill your tub with water or drain it with just the touch of a button! You and your family will enjoy the luxury and comfort provided by the Caribbean Paradise entertainment center. It features an integral, splash protected TV system with splash protected remote control mounted on an elegant TV arch "The Swan" and a marine grade DVD/CD player with wireless remote control and endless functions. The All New Caribbean Paradise is a high specification bath, manufactured through different departments with extra care and attention given to each bath as it goes through the process.